Fifth Harmony singer Lauren Jaurequi said what to Trump supporters? Lauren Jaurequi took a very brave step in the wake of the Elections. She wrote a heartfelt letter to Donald Trump Supporters. In the letter, she came out as Bisexual. She was very vocal about her fears as a bisexual lady and the damage it may do to all the progress that America has made over the years. Obviously, Lauren feels very threatened by remarks made by Donald Trump over the years and during his election campaign. America was once the world leader in human rights and many people feel that this is now being threatened. Hopefully this is not the case. Donald Trump is now president-elect, so let’s give him a chance to make his mark. These are early days and there is much to do. I doubt if the American people would allow their country to go into reverse, regardless of who is in power. Congratulations on your bravery in coming out. This is not an easy world for LGBT people across the globe. America has been one of the leading nations in putting this to rest over generations. They did so because they understood what it took other countries generations to realise. LGBT people are not created by environment. They are born and they are born to straight parents. Practically every family will have one LGBT member within, regardless of if they know it or not. While your concerns are understandable, Donald Trump has said he is not going to interfere with this. So, let’s trust him with this until we have reason to do otherwise. Let’s throw out some cards for you Lauren and see where your year is taking you. There is much love around you, and you are also capable of much love. What some people fail to understand is that being bisexual does not mean you are promiscuous. It means that you can look beyond gender and find love. In a way, you can see the soul within and this is a gift I’m sure many envy you for. I can understand the fears that you hold but I doubt if America would allow your human rights to be revoked. Here is a journey of the heart. There is a period of transition ahead of you. There are adjustments to be made to your life, but this journey is not taken alone. Of course, there will be those who stand in judgement, but it’s usually because they are hiding secrets of their own. Remain strong and rise above the critics. This is your life, your journey and no one has the right to ask you to walk theirs because it makes them feel better. This card shows us that you have more love and admiration than you will ever know. This can sometimes represent those who will never present themselves as lovers or friends, but will stand back in the shadows and admire from afar. These are also the many fans who admire you and respect you for using your public footing to make a statement that was dear to your heart. 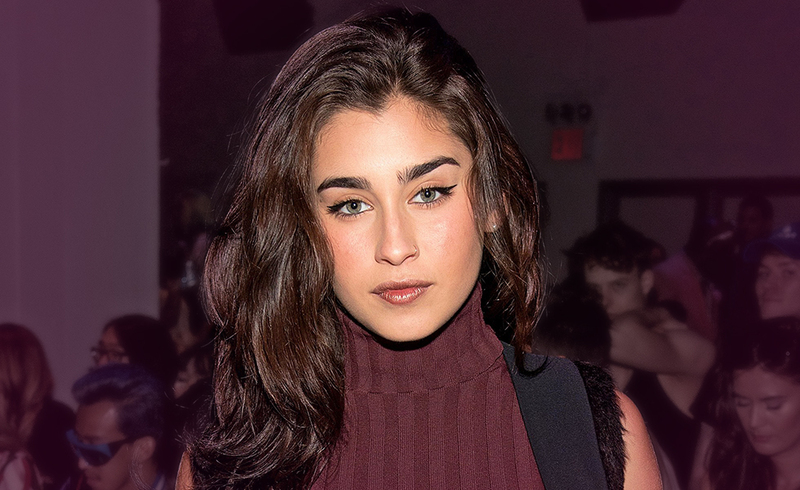 Lauren, you are a lady with a great capability to love. A lot of people will try to attach sordid meanings to this because it will suit their purpose. You must rise above this. Your fears are understandable and reflect the worries of many people. Let’s just see how things unfold over the next four years. Removing the rights of a great percentage of American people would not be a healthy move. I feel Donald trump is aware of this and will learn the ropes of the office. The new year shows your life as opening new doors. The mid-summer of 2017 see’s your heart in a very loving happy phase. So, look forward with hope and not fear. Let’s allow people to have their opinion, but hold on to your own values.